I started my morning at the Tokyo station exchanging my rail pass. I had a few hours to kill before lunch so I thought I’d wander over to the park by the Imperial Park. I’d heard that the cherry blossoms were in bloom and I thought this would be a great place to catch a glimpse. 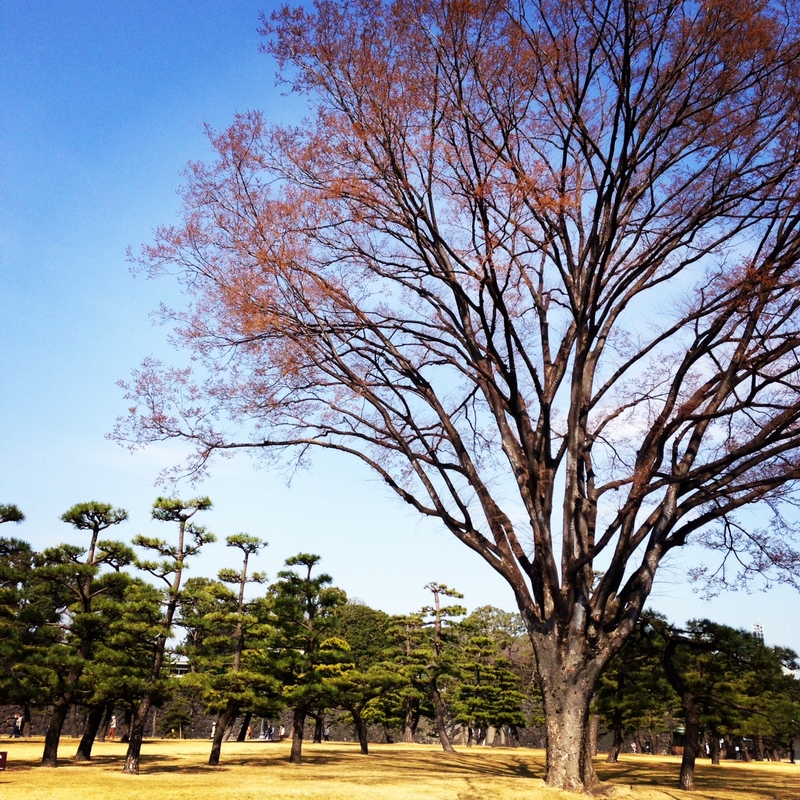 Although it was beautiful walk, I think I was a few days early to see cherry blossoms. Feeling a bit of failure in that, I decided my time was better spent wandering around the depachika at the Daimaru Department store to work up an appetite. There were some perplexed looks when I told people about my eating list for Tokyo. 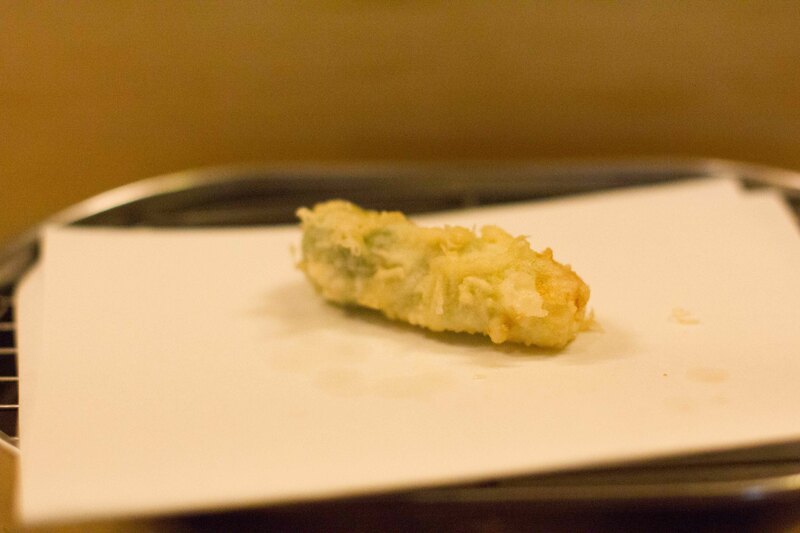 Sushi was a given, but when I explained my desire to try high-end tempura, people looked at me quizzically. 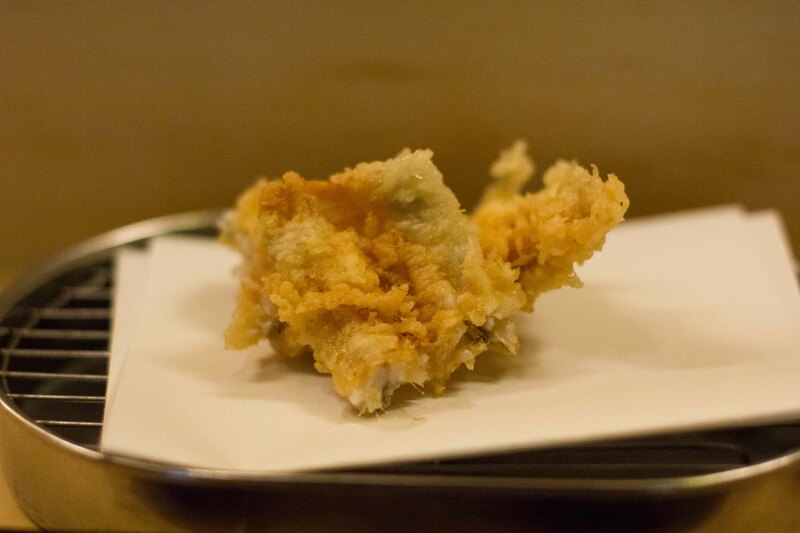 Most people think of tempura as cheap fried food, although something everyone likes to eat. The version we know of is heavily battered, rarely hot enough and most of the time, too greasy. Heck, even here in Japan when it’s served on the side, next to a bowl of noodles, more often than not it’s at least one of those things above. 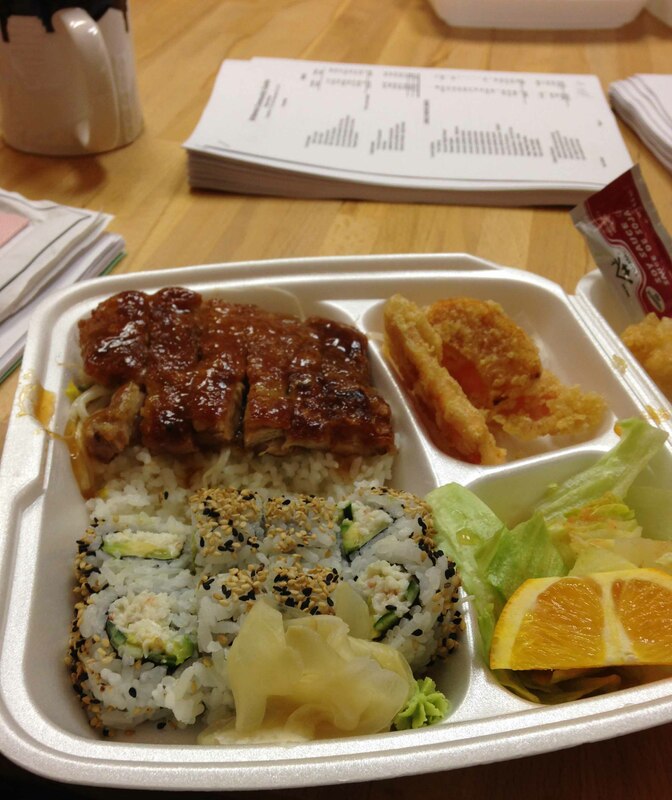 I had one of the most offensive versions of tempura at a work meeting a few weeks ago. It was all of the above, plus overcooked and you could tell the oil was old. 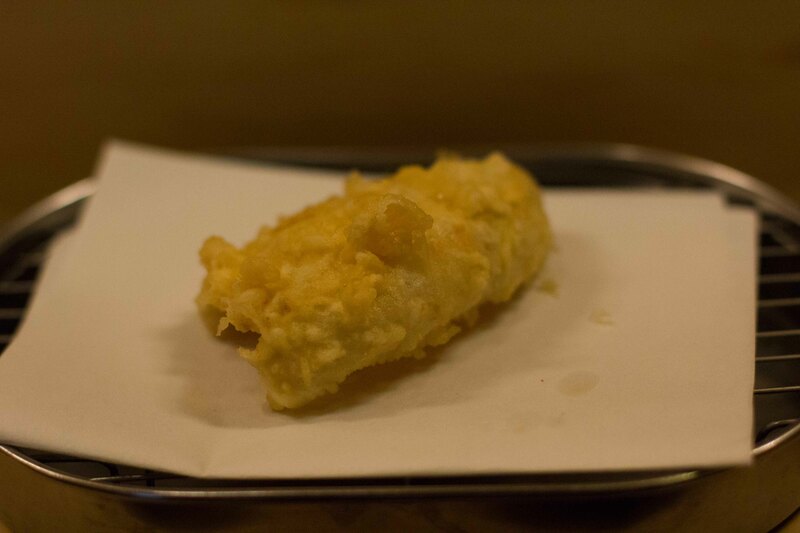 What baffled me the most was that the people around me were raving about the tempura. (I could insert a very snarky comment here, but won’t). 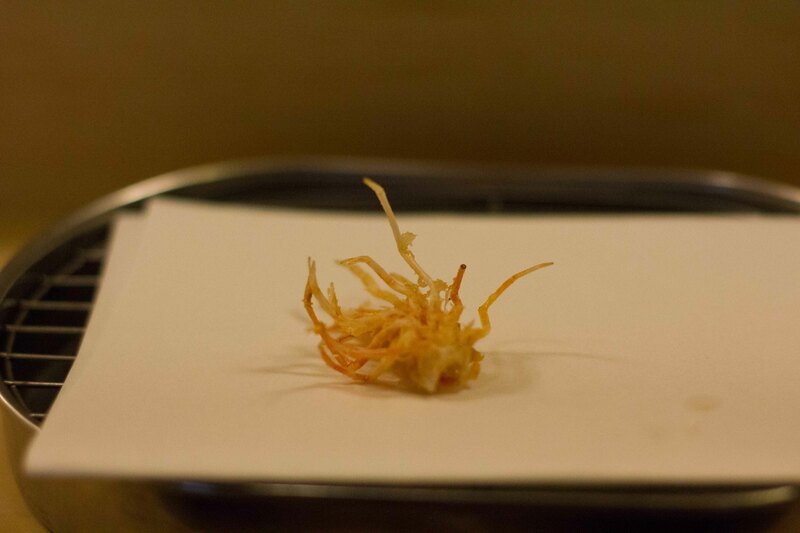 It wasn’t just the tempura that was bad, pretty much everything was horrible. Just so you know, this isn’t Japanese food. It came as a bit of a surprise to me that there are quite a number of tempura restaurants that have made the Michelin list. 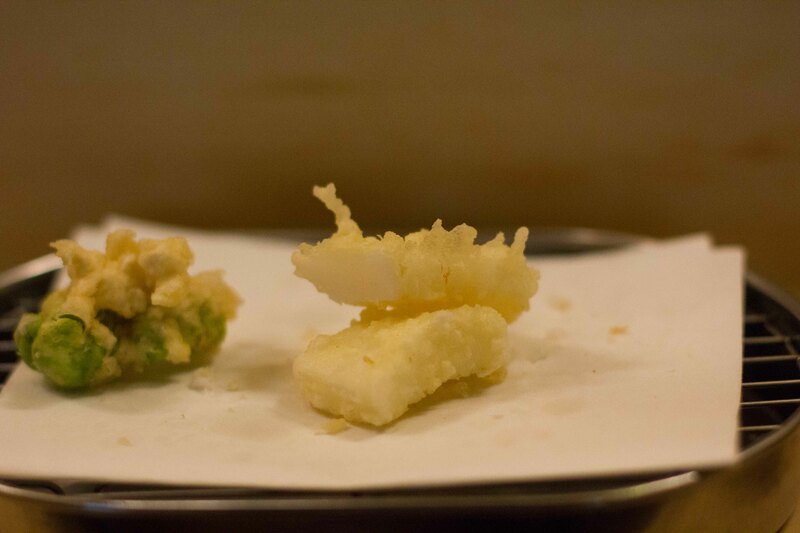 This really piqued my curiosity because even though I know what good tempura tastes like, I was very curious to see what great tempura tasted like. 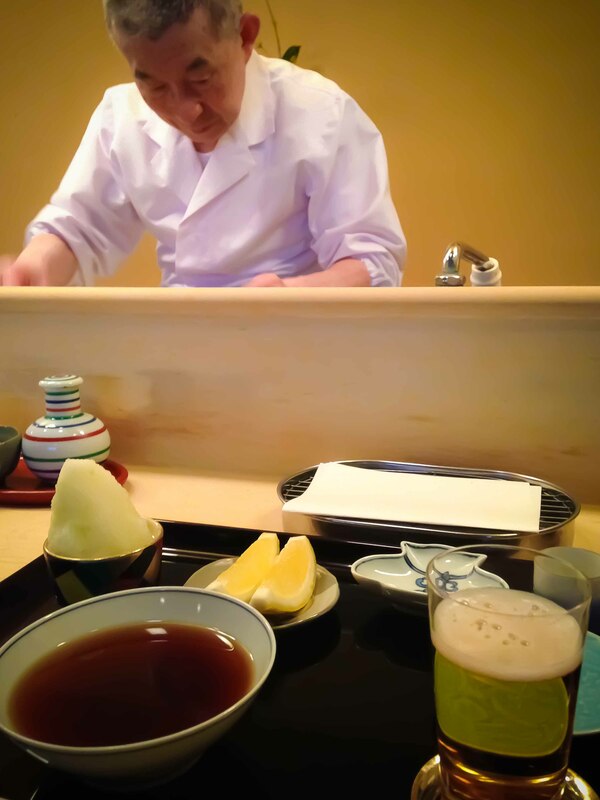 So I researchd the many Michelin starred tempura restaurants in Tokyo and looked at the options offered on the 7 Great Tempura Restaurants Eater List and in the end I decided on Rakutei, not only because they were open for lunch, but it seemed more “reasonably priced” than a few of the others. It’s a common fact, that it’s very easy to get lost in Japan. The addresses are confusing, the street signs are all in Japanese and as I learned from the night before, sometimes even googlemaps gets it wrong. I was feeling confident that my new best friend, my pocket wifi device, would get me to the restaurant. But what I didn’t prepare for was that even though I was standing on the road at where I believed the address to be, I still had no idea where I was supposed to go. 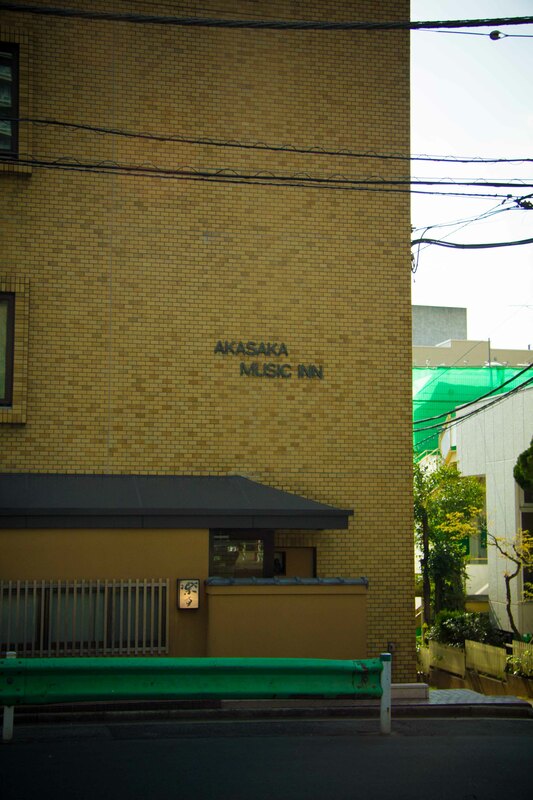 I couldn’t remember seeing any previous photos of the outside of the building, but luckily I was able to pull up an online a mention that it was in the Akasaka Music Inn. Inside, 5 people were already seated along a small counter facing the chef and I was the last to arrive for lunch. No worries about eating alone because it seemed like half us were doing that exact same thing. I was presented with a menu, which I couldn’t read but it seemed there were 3 price options, so I chose the middle one at ¥11,000. The drink of choice around the counter was beer, so I followed suit. Located on the tray in front of me were items used to dip the tempura into. I found that for most pieces, just a sprinkling of salt would do. 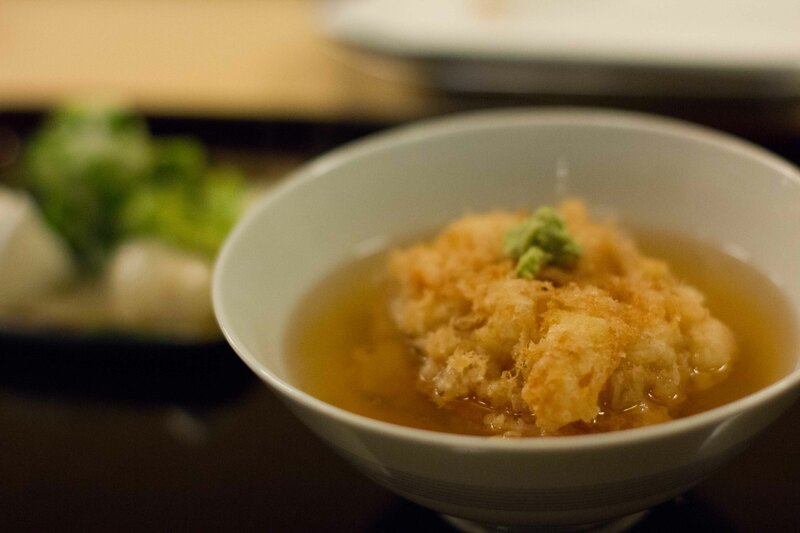 Dashi, daikon, lemon and salt were available to use to accentuate the flavours of the tempura. I watched as Ishikura-san carefully prepared the batter for the tempura, which seemed to be a mixture of egg and flour. He used a pair thick of chopsticks to lightly stir the 2 ingredients together. He was able to gauge the consistency he wanted by the way the mixture dripped off his chopsticks. Ishikura-san poured oil into his pot, started the burner and began to prep the prawns for our meal, as our appetizer was served. Meticulously presented kelp hides beautifully prepared bamboo shoots below. As the preparation of the prawns continued, I couldn’t help but be mesmerized by how methodical Ishikura-san was with each step. Heads and shells were carefully peeled off, tails were trimmed, flesh scored. This must be something he’s done 100’s of thousands of times, yet he continues to do so with precision and care. 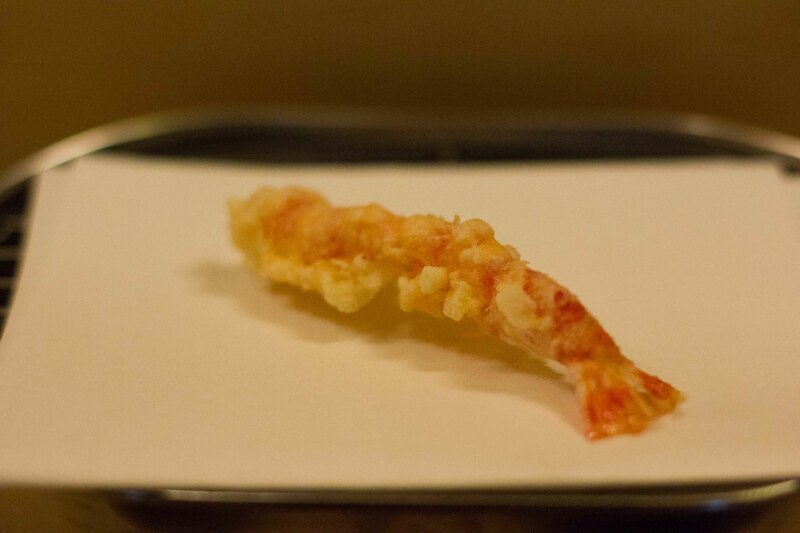 1st course – Prawn tempura (x2). 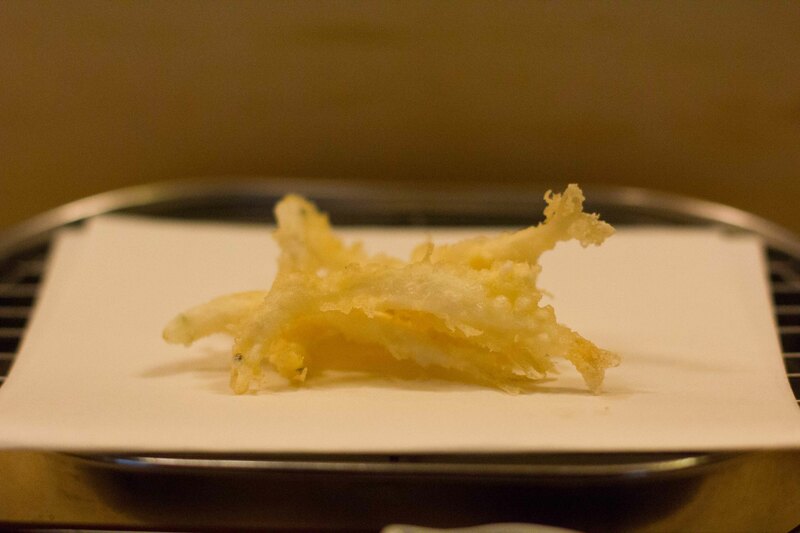 I wanted to weep because I knew no other tempura I’d ever eat would come close to this experience I was having. This isn’t food of bold flavours or combinations, nor did it amaze me in its intricate preparation. The deliciousness of this dish was because of its simplicity and reverence for the ingredient itself. This food is completely opposite from everything I loved about my duo of meals by Adria at Tickets and 41 Degrees, but I loved it just the same. It was the respect that’s paid to each piece of tempura that would follow that made me understand how Rakutei has earned its Michelin 2*’s. 2nd course – Prawn head – I sprinkled salt over this and it was a great bite with my cold beer. I did wonder, why 2 prawn but only 1 prawn head? 3rd course – Little white fish. These looked like the crispy fishies you have on the side when you eat congee, (all crunch no substance) but they were totally different. I couldn’t believe how much flesh you could taste with each individual fish. 4th course – Little white vegetable – There wasn’t much interaction going on, in fact the whole restaurant was very quiet so I didn’t feel like I could ask what this was. I started noticing that chef would adjust his batter depending on which ingredient he was frying. Sometimes he’d add more egg, others it’d be more flour, always checking to see if he had the proper consistency. For the next item, he added more flour to get a thicker result. 5th course – Kisu (small white fish) – I added salt and a splash of lemon to this. 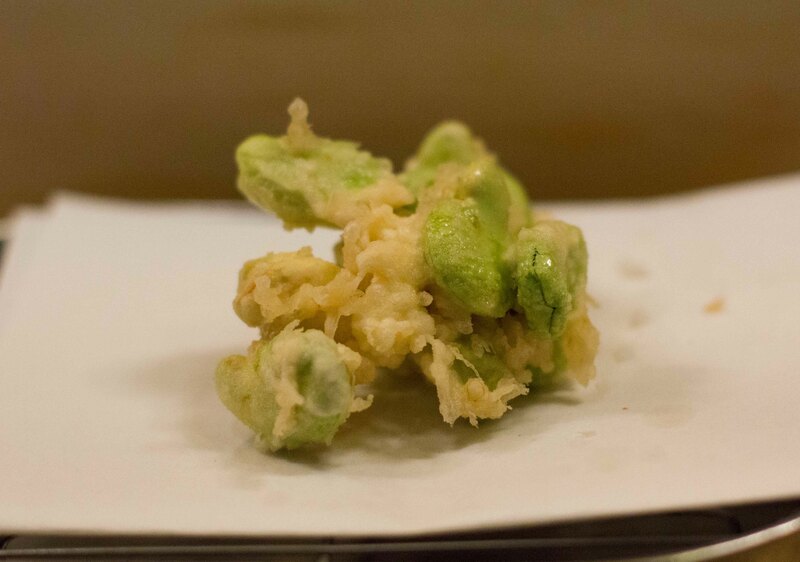 6th course – Fava beans – I love fava beans so I was happy to see this ingredient. I was amazed at how hot the beans stayed all the way to the last bite. 7th course – Ika (squid) – As I picked it up, I thought it was too thickly cut. Wrong! Dense, but soft with the right amount of chewiness. 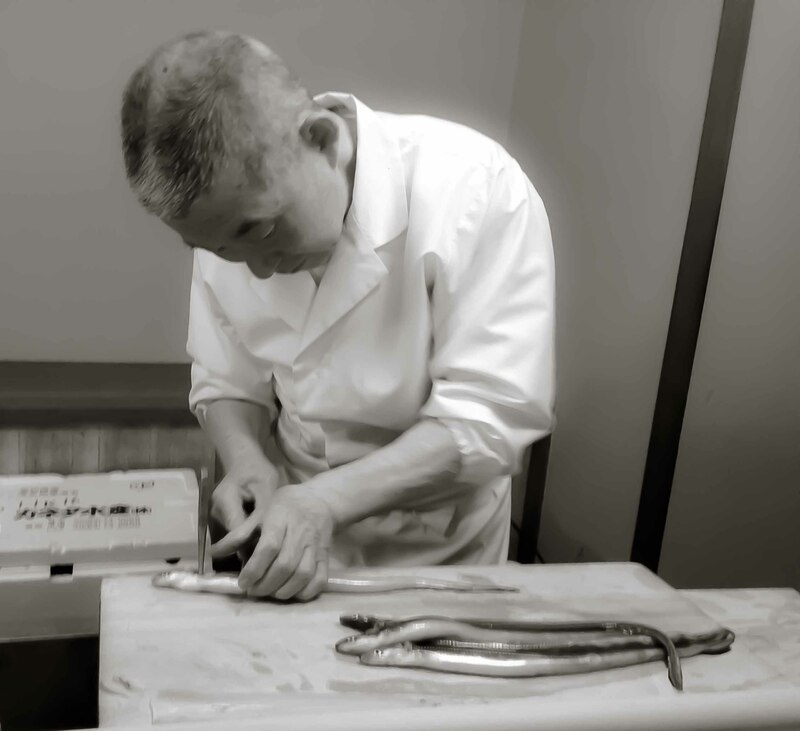 Chef started preparing the anago, which he performed quickly and with such precision. I realized that I had the best seat to watch him prep the food. 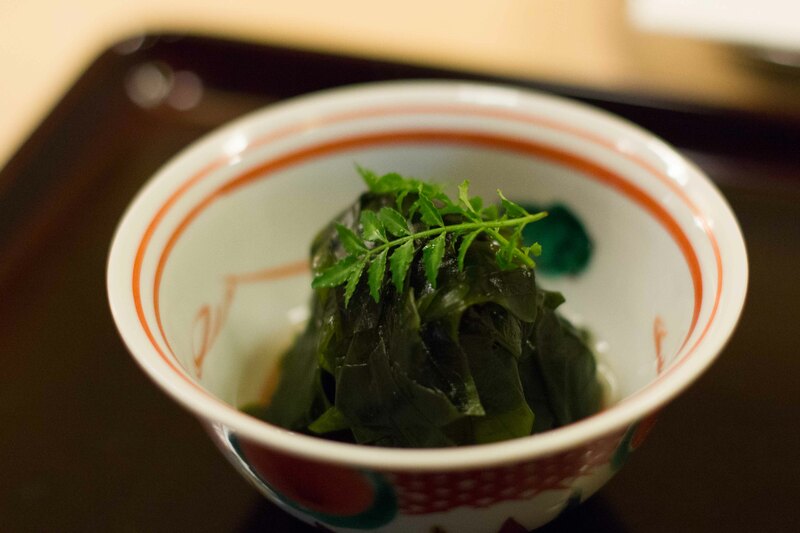 8th course – Anago (sea eel) – Unbelievably tasty with just salt, then a squeeze of lemon, then dipped in the dashi. I ate a bit of the daikon on its own after this to help cut through the oiliness of the fish. 9th (and last course) – Scallop ten-cha – I had the choice of ten don(on a bowl of rice) or ten cha (a tiny bit of rice with tea). I made my choice based on the amount of rice I knew I’d get. It bears mentioning at this time that this meal was quiet, although probably better described as serene. While some may find it too quiet, or not conducive to interaction through the meal, I appreciated the silence. With food this simple, the silence helped me to concentrate on the delicate flavours of the food. Rakutei is definitely all about the food. The other things that I realized during this meal is that unlike other Michelin/high-end meals I’ve eaten, where I’ve gone in with the attitude that I will be relaxed and I’ve encouraged the service to follow my attitude, in Japan, diners must match the mood of the chef. So at Rakutei, since the chef exuded focus, we the diner in turn, respectfully matched his demeanor. As I left Rakutei, I decided to walk the 2.5km back to my hotel. I had overeaten, but realized for a meal that was predominantly fried, I wasn’t feeling greasy or heavy at all, just full. Alone in my thoughts as 2.5km turned into 3km,(I got lost again) I had the melancholy feeling that I had just eaten one of the best meals of my life and had no one to share it with. The thing that comes to my mind most while reading your post is mindful eating. Too often we eat on the run or in front of entertainment. 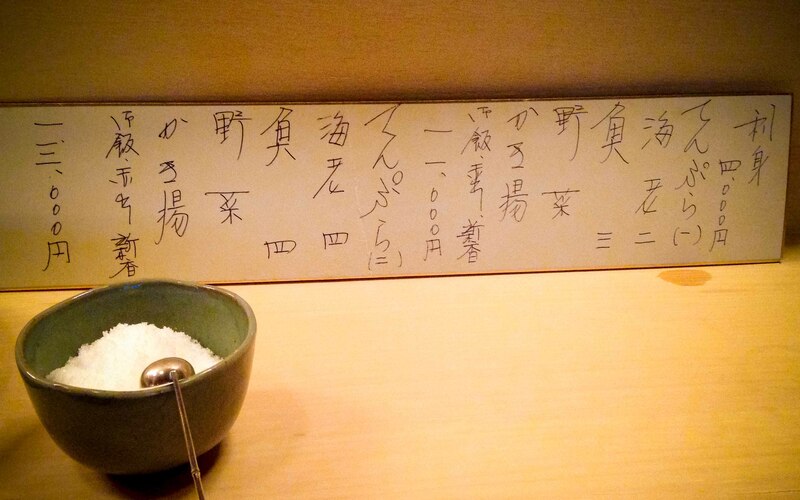 The Japanese treat eating with a great respect and mindfulness that we can learn from. I learned that it is rude to eat while walking in Japanese culture and when I visited Japan I was surprised to see many, many vending machines selling everything but food. I think one of the reasons I enjoy eating alone is that sometimes I feel even the conversation with others to distract from the food. Have you seen Mind of a Chef? There’s an episode where Chang goes to a ramen place where you’re supposed to eat in silence! That may be pushing things a bit. Did you notice the elderly waitress serving you? We asked her if she was his wife, and it turned out she was his sister!